Tom is trying to free all the good beast from Malvel’s evil curse. Epos is so big ,can he stop Malvel? WOW! Great end to the first series. Loved it, Epos the flame bird protects the volcanic reigion in the east of Avantia. Under the evil Wizard Malvel`s spell, she hurls balls of fire and makes lava flow! This is fantastic too! i loved it again! 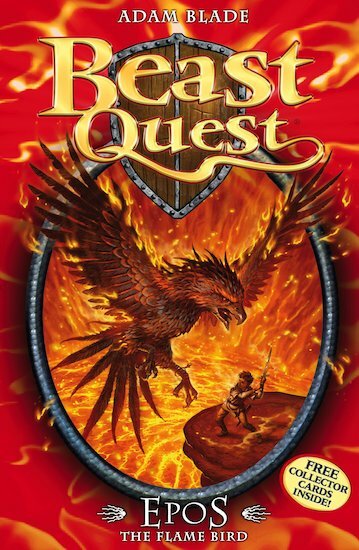 I love all the beast quest books! There so great! It was the best story in the first series.